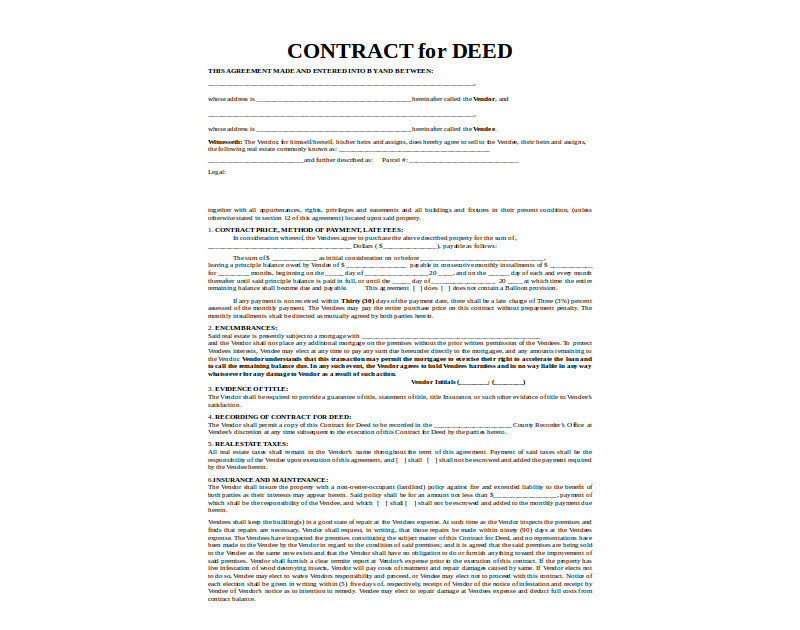 A contract for deed is an enforceable document that is used in transactions within the real estate industry. 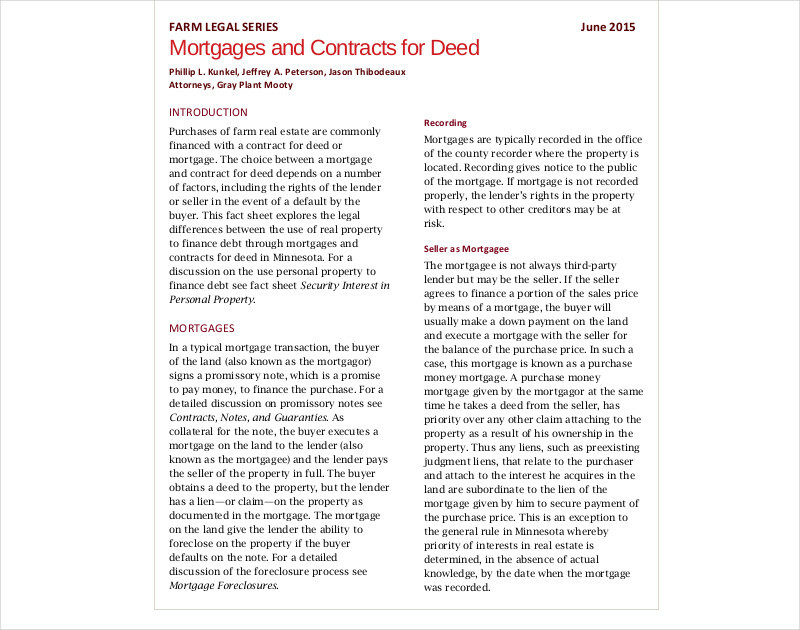 A contract for deed can also be called a land contract as it specifically discussed information related to the purchase of real estate properties. 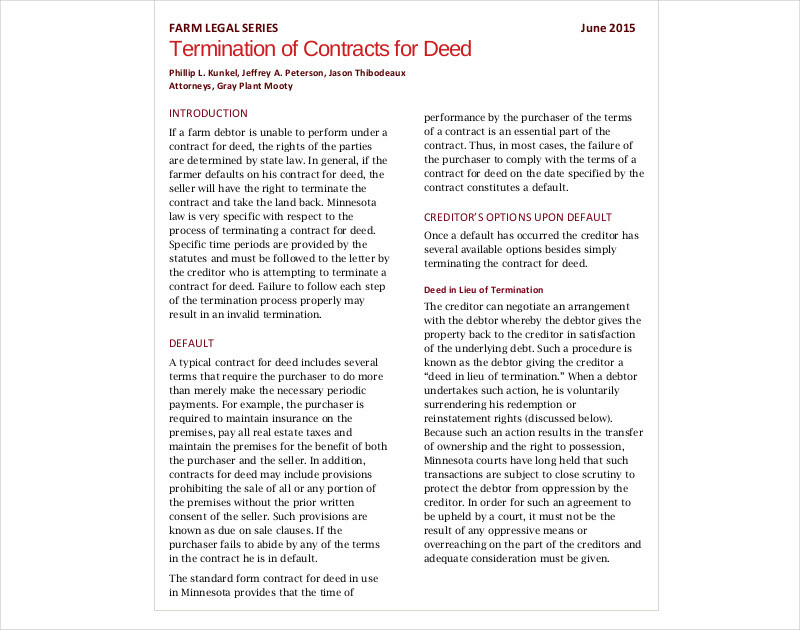 Just like a safety contract, a contract for deed allows the assurance that the rights of the entities within the transaction are protected. Compared to a payment contract; a contract for deed also gives the specific details pertaining to property purchase payment terms, conditions and regulations. If you want to develop a comprehensive and effective contract for deed, refer to the examples that we have put together in this post. 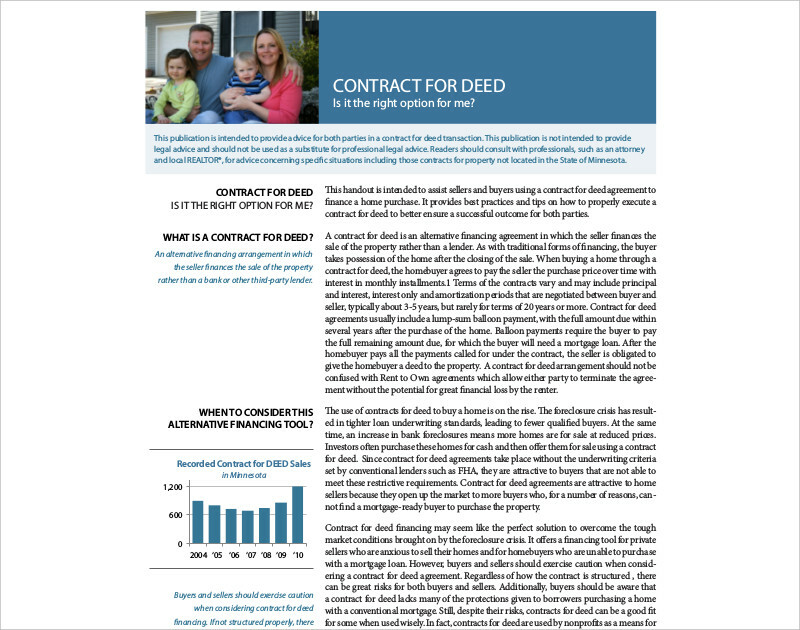 How to Create an Effective Contract for Deed? 1. 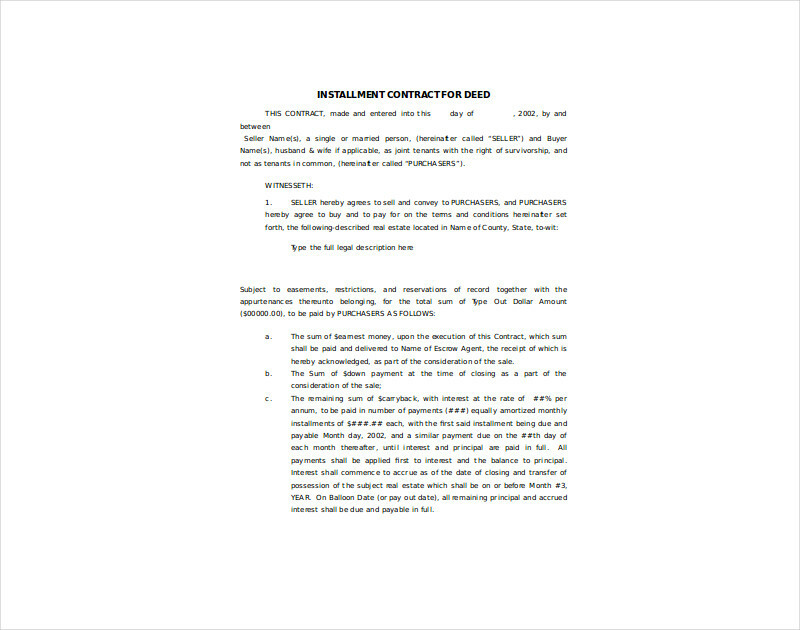 It is important for the contract for deed to contain the necessary information about the entities within the transaction. Both the buyer and seller must provide details that are necessary for the agreement to be as transparent as possible. 2. 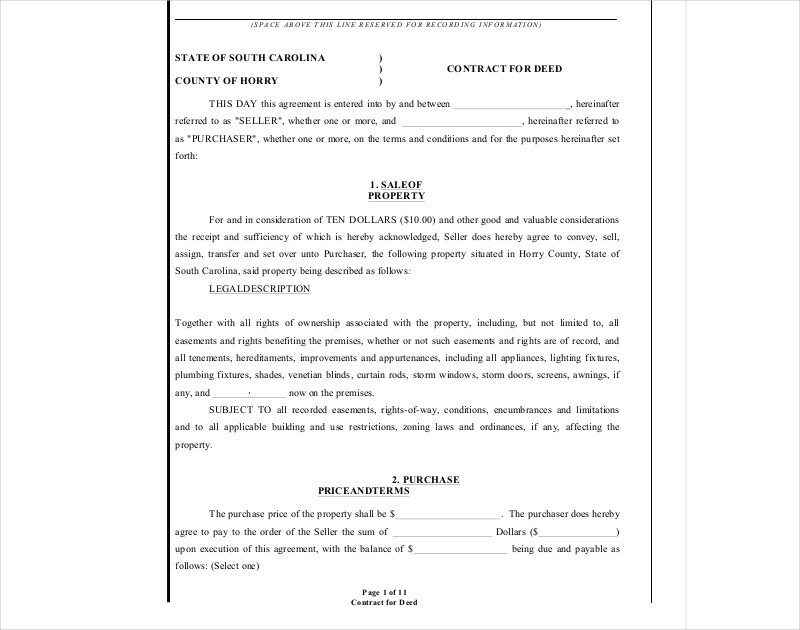 Just like when making a lease contract or a land contract, it is essential for the information presented in the contract for deed to always be checked, evaluated, and updated. 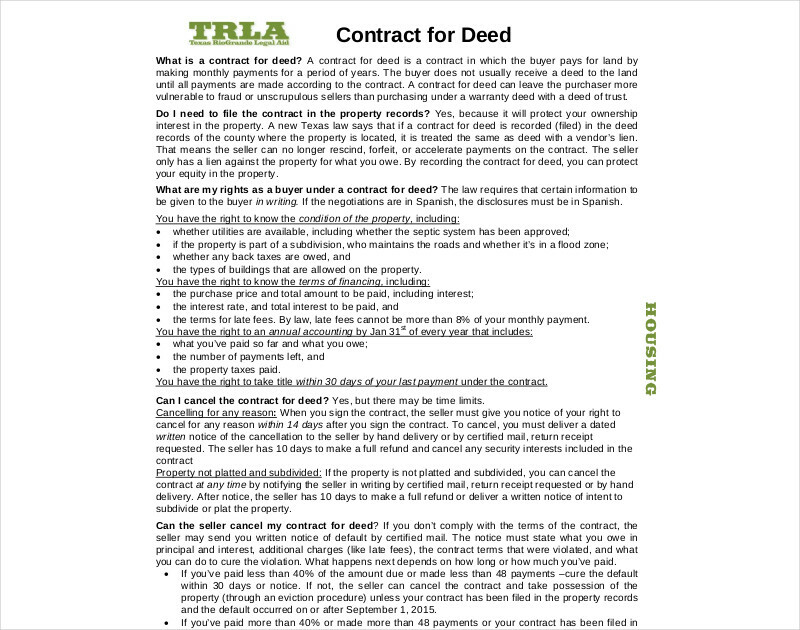 Keep in mind that a contract for deed is an enforceable and legal document which is why you should make sure that its accuracy is always considered and looked into. 1. A contract for deed is an agreement between a seller and buyer which discusses the specification regarding a property purchase. 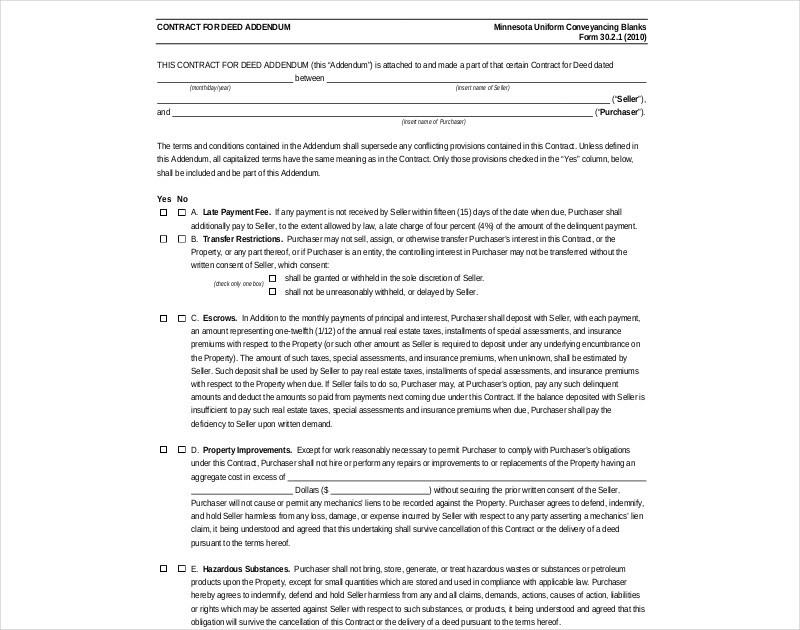 With this, it is essential for all the basic details of the contract to be laid out accordingly.You may also see child care contract. 2. Thoroughly describe the property and the responsibilities of each parties within the agreement. You should make sure that all entities within the transaction are aware of the deliverable as much as their rights are protected. Not knowing anything about contract for deed development can set you a step behind. 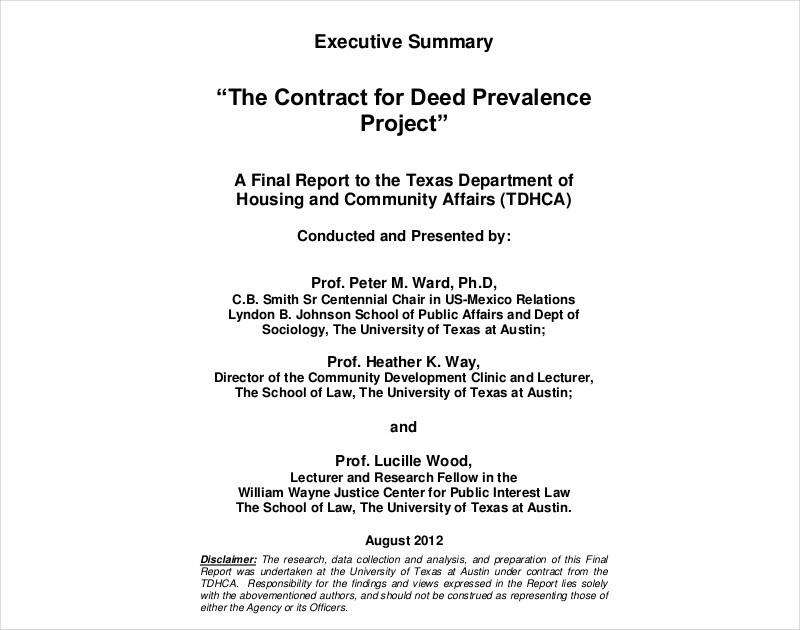 However, there are references that you can use to come up with an effective contract for deed. 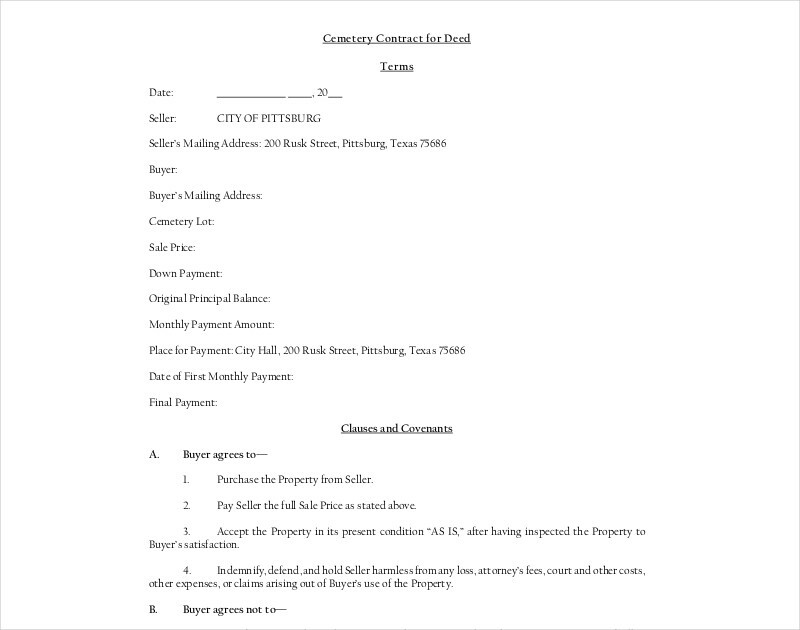 Aside from templates that will allow you to properly layout your contract, our examples can also be of help if you want to know the items that you can include in the document. 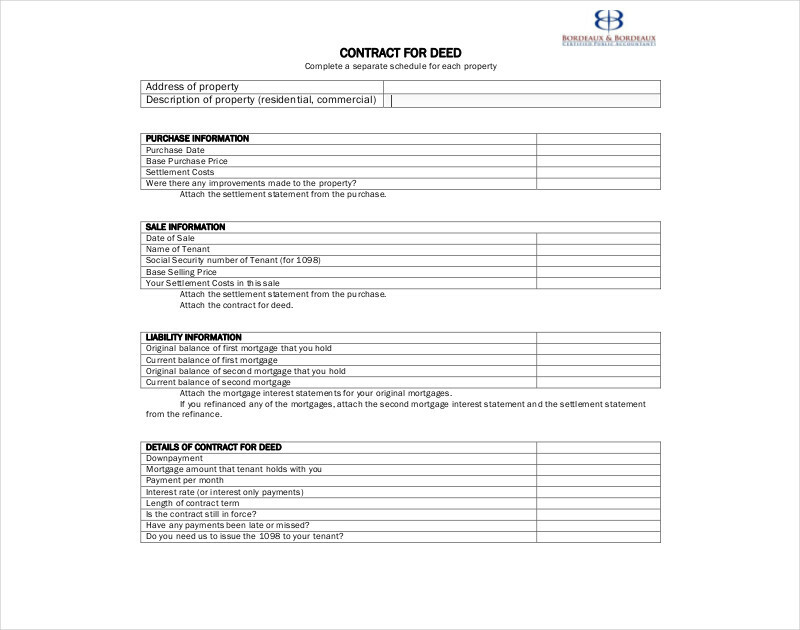 Browse through and download our samples and see how these can help you come up with a contract for deed that works.